UFO SIGHTINGS DAILY: Drone Over Area 51 Catches Great Rare View, Feb 2016, 3 Videos, UFO Sighting News. 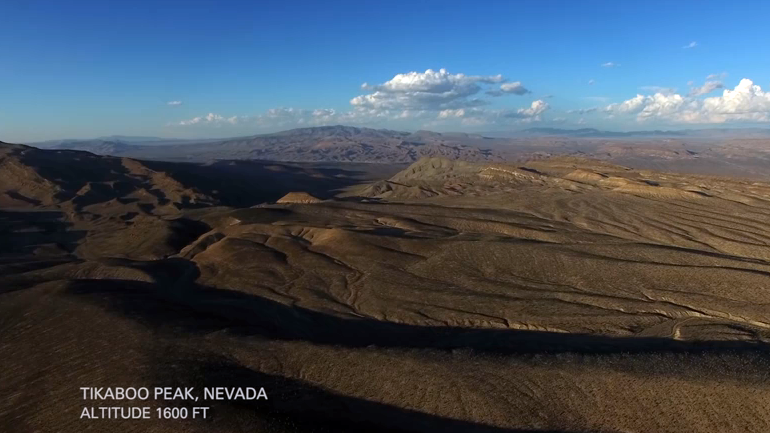 Drone Over Area 51 Catches Great Rare View, Feb 2016, 3 Videos, UFO Sighting News. This amazing footage was recorded using an RC drone with a HD camera on it. Hans Faulkner of Youtube wanted to learn more about the top secret USAFB, so he took a short flight over the edges of the base. Its very brave of him to share this footage on line since it does break a few laws and endanger his security. I imagine it wont be long before the public gets robotic drones that will pass over the base and return hours later with great footage. The military will have a hard time finding these tiny drones since the newest and smallest one I saw was an inch and a half in diameter with a live cam on it. Sadly todays batteries are the last of the ancient tech to be upgraded. Imagine what a drone with a telescope lens would see. Hats off to Hans Faulkner for beautiful and rare view of Area 51. Please stop at his video and give him a thumbs up for support.